Eat like a local in Casablanca, and experience world famous Moroccan hospitality, too! Our cultural and culinary activities will get you off the beaten path and into local markets, non-touristy neighborhoods, and even Moroccan homes. "Thank you so much for a truly wonderful and memorable time during my short visit to Casablanca!" "Many thanks to our lovely guide who has a genuine passion for the local area and loved to tell us about the history with an insight into local traditions and of course the food. Would highly recommend this tour both for tourists visiting the area or for expats living in Casablanca." "It was an incredible feast and a great introduction to Moroccan life and cuisine. We enjoyed it immensely and would recommend it to anyone who likes food - lots and lots of delicious food!" "I have used many techniques and ingredients she introduced to us since this class and I always recommend her to people that will be traveling to Morocco. I promise, her cooking class will be one of the highlights of your trip." "I did the street food tour...in the popular Habbous quarter. It's a must for travelers who like to mingle among the local people and want to smell and taste their delicious food." This was unquestionably the best tour that I have taken in Morocco. The local guide, Nezha, did a wonderful job of telling us about the places and the food, with just the right amount of history and culture peppered in. "We took an amazing food tour...where we explored a spice market, an open market and a meat grill. We had so many tasty things...Plus, we learned about the history and architecture of the area. This tour is a must do in Casablanca." "Thank you so much for this extraordinary experience of incredible food, wonderful company, and warm hospitality. Absolutely unforgettable. So grateful for an exceptional day." We invite you to experience our city and cuisine exactly as the locals do. 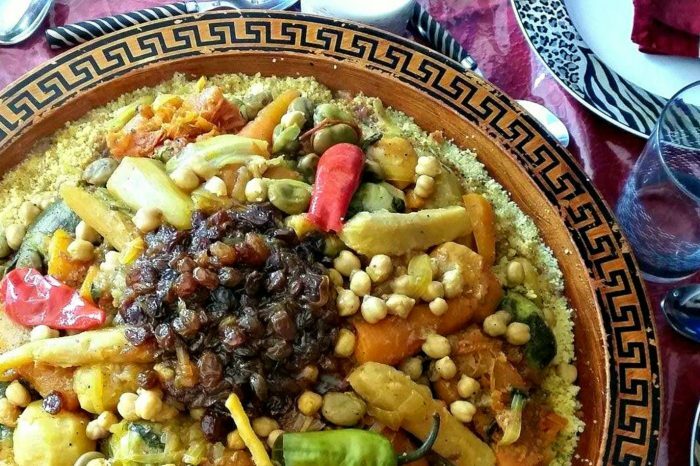 It's the best way to explore real Moroccan food and culture! Forget about run-of the-mill city tours and restaurants that embellish Moroccan food with tourists in mind — we’ll help you enjoy Casablanca in a local, authentic way. Join licensed tour guides and local experts for authentic Moroccan food and cultural fun in Casablanca. Be a guest of honor at a traditional Moroccan iftar in a Casablanca home. You'll enjoy an assortment of sweet and savory foods as you learn about Ramadan and Moroccan traditions. Join a local in their Casablanca home for good food and conversation. You'll be sitting down to an impressive family style Moroccan meal complete with main dishes, sides, salads and dessert. Escape the hustle and bustle of city life and take in the sights on a coastal drive along Casablanca's corniche. Our destination? A fabulous lunchtime spread of grilled meats, offal, tagines and more. Tantalize your senses on a guided walking tour of Casablanca's Central Market and nearby sites. Afterwards, sit down to an incredible lunchtime feast of fresh fish and seafood. We’re proud to be Casablanca’s premier activity and tour operator dedicated to local culinary experiences and traditional food tourism activities. Our team of carefully vetted guides, hosts and cooking instructors are passionate about Moroccan cuisine and culture and take pleasure in showing it off. Ready for a memory-making experience in Casablanca? Here's what to expect. Discover real Moroccan food and culture with authentic, memorable experiences. Whether you attend a food tour, cooking class or in-home meal, you'll be eating what Moroccans themselves eat and gaining cultural insights along the way. The entire Taste of Casablanca team lives and works in Casablanca. Most are multilingual Moroccans who are life-long residents while others have been here for a decade or more. We're proud to show off our city, culture and food while supporting local vendors and businesses. We want your time with us to be as personal, enjoyable and informative as possible, so we limit our tours and in-home activities to small groups of 6 or 8. This allows for a relaxed and genuine cultural exchange among guests and your guide or host. Taste of Casablanca's founder is a Moroccan food expert who has written hundreds of articles and recipes on the topic and taught in-home cooking classes for years. Our other cooking instructors, guides and hosts are equally knowledgeable and passionate about Moroccan cuisine and culture. Don't miss your chance to join us for real Moroccan food and cultural fun in Casablanca!